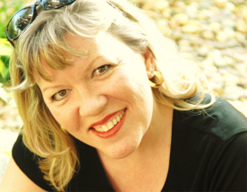 Julie Jenkins is an Early Childhood Educator who has taken her inspiring philosophy from her own early childhood centers to share this amazing philosophy with the world. 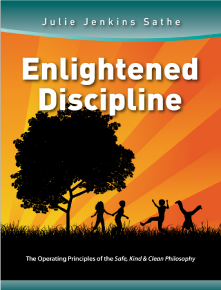 Parents and teachers alike will learn, laugh and grow through the sensible Enlightened Discipline program. "Enjoy Each Other and Laugh"
More articles in the Article Library. Author Julie Jenkins insists that we must say goodbye to the ‘naughty mat’ and call time out on time outs! Leave all of those old school techniques behind. This is the manual for teaching the foundations of self-discipline, common sense and self-respect to young children. Written for every teacher in the early childhood field and for every parent with young children!